Fincantieri, one of the world’s largest shipbuilding groups and number one by diversification and innovation, has signed a contract with the Australian government to participate in the Competitive Evaluation Process , conducted by the Department of Defence, to deliver 9 Future Frigates - to be built in Adelaide, South Australia - for the Royal Australian Navy (RAN) under the SEA 5000 program. Fincantieri is one of three shipbuilders short-listed by the Capability Acquisition and Sustainment Group (CASG), part of the Department of Defence, to participate in the evaluation and selection process, which will last about one year. Similar agreements were signed also by Navantia and BAE Systems. 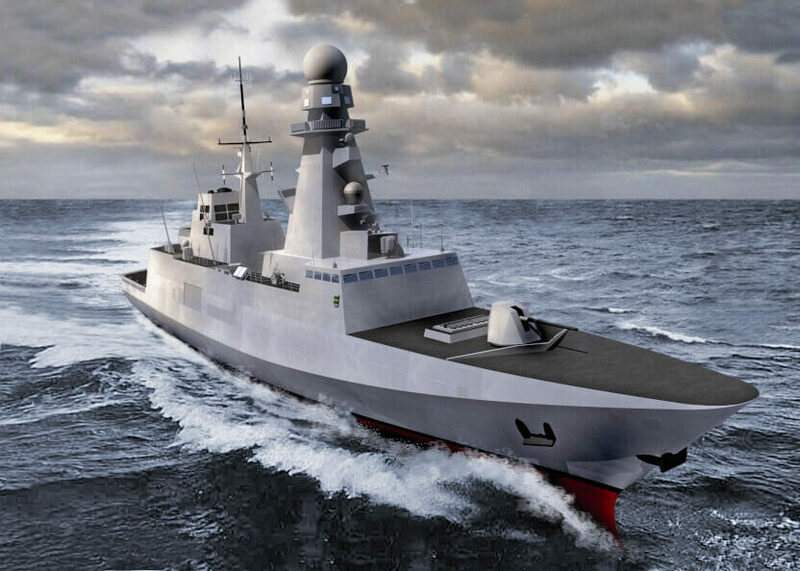 Fincantieri is offering its Italian FREMM Frigate (ASW version), which is currently in service and being built for the Italian Navy. Giuseppe Bono, CEO of Fincantieri, commented, “We are fully committed to this program, which represents one of the most important naval surface shipbuilding projects in the world. "This is the first ever contract signed by Fincantieri with the Australian Department of Defence and we are very excited by the opportunity to participate in the evaluation process and to propose the very best of Italian shipbuilding design and construction. There are currently 10 ships in the Class – four in ASW Anti-submarine warfare configuration (bow sonar plus towed variable depth sonar) and six in GP General Purpose configuration (rapid response RHIB ramp at stern). The ships are electric motor driven at low speed for ASW operations and Gas Turbine driven at high speed (at which time the electric motors become alternators). Hangar space is available for two MH-90 sized helicopters. Initial studies have shown that the CEA radars can be easily accommodated with little modification apart from the main mast.